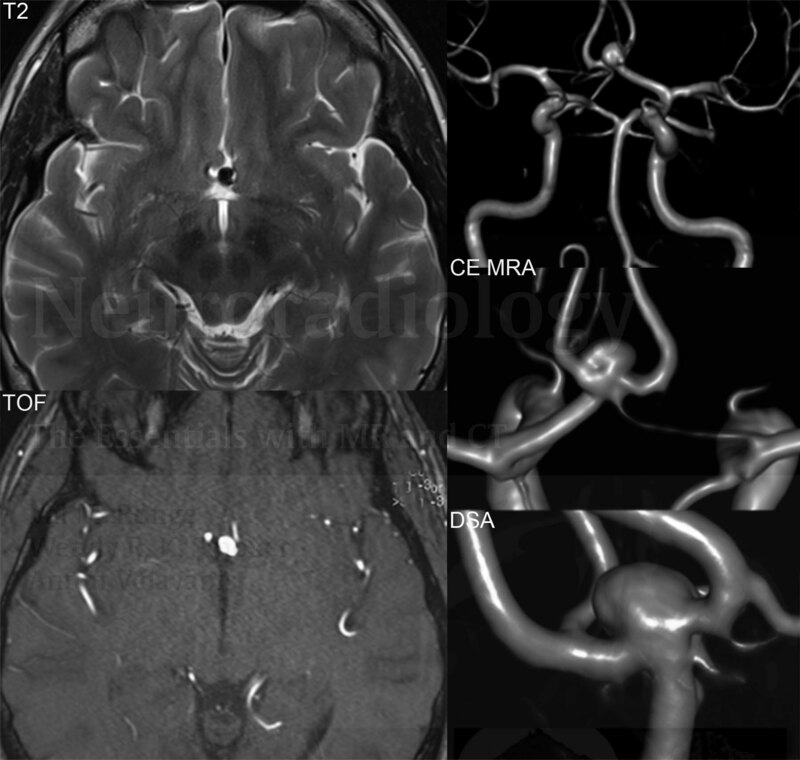 A flow void is noted in the region of the anterior communicating artery (ACOM) on an axial T2-weighted image, with signal intensity corresponding to arterial flow on an axial source image from a 3D TOF MRA. CE MRA images further confirm the aneurysm, with the right A1 segment of the ACA noted to be very small in diameter. DSA confirms that the aneurysm has a wide neck, an important finding for treatment planning.